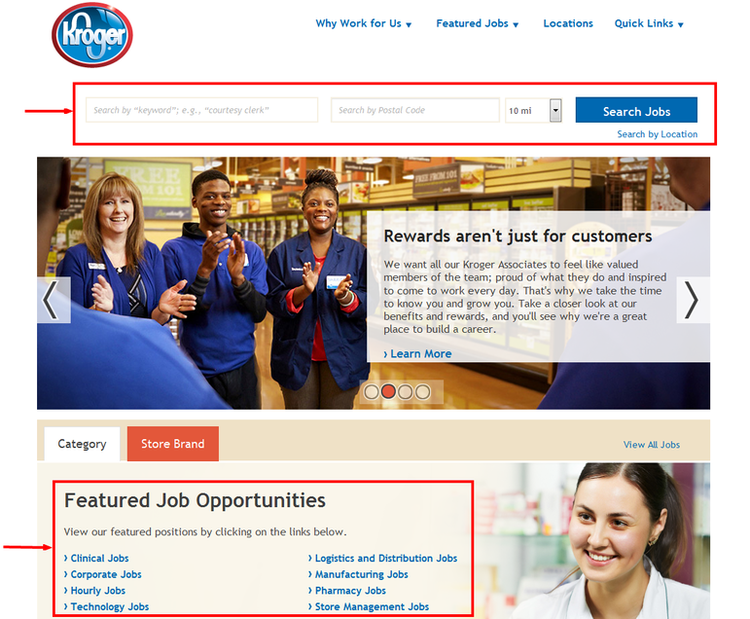 Entering the Kroger’s career portal - jobs.kroger.com or kroger.com/careers, type your key description about the job, then type the zip code, define the distance from your location, and click to search. If you want to check some popular positions, scroll down to the featured job opportunities. For example, we chose hourly jobs. Then the search engine got all hourly jobs displayed, pick a position with an acceptable location to continue. If you have any confusion, please read the brief introduction about this job in the front of the page. Getting well known for job details is quite important before start your application. So read the job description carefully and click “Apply Now” button . Your E-mail address need typing in the box to continue. Here you should fill all the necessary information in the blanks on this page to create your own profile. Your profile can be seen if you check the box below when the employer is searching you for an open job. Please click APPLY to move on if you are sure to apply for the job. This a registration request. 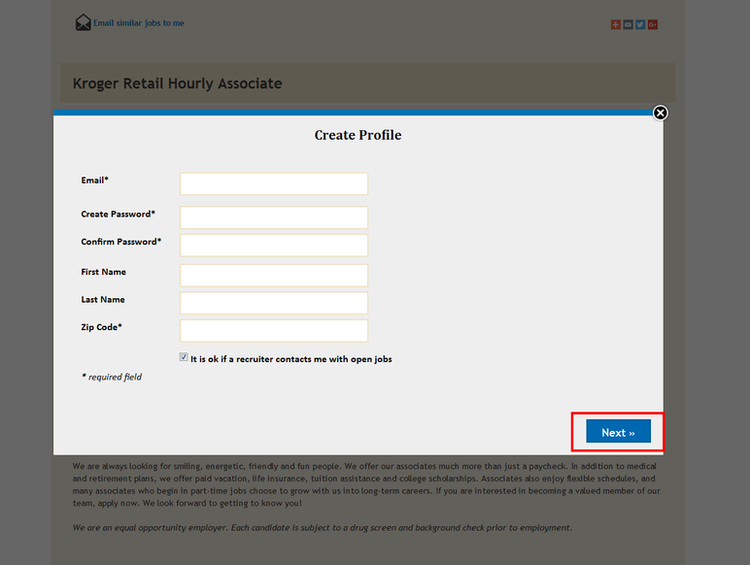 You have to create an account on Kroger’s site, or else you cannot continue your applying. Please finish this registering process. Congratulations if you are here. This is a combined application form which you may upload your cover letter, resume and attachments here. 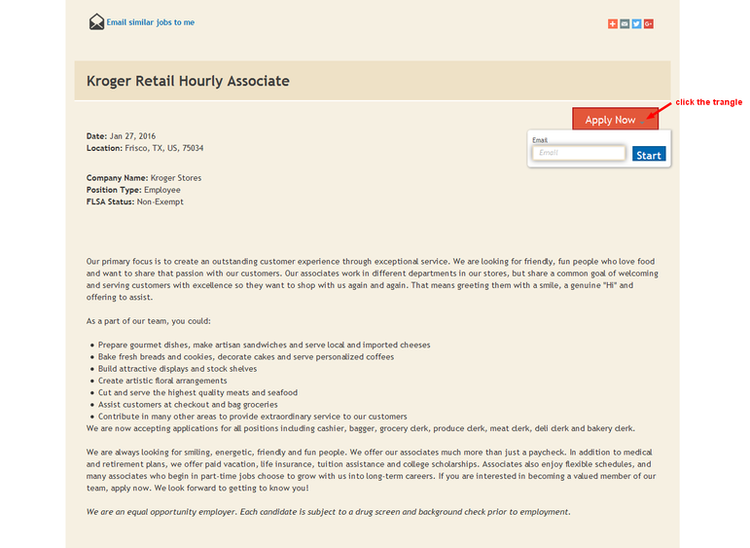 Finish this application form with your actual detailed information to complete your online applying process on Kroger’s site. 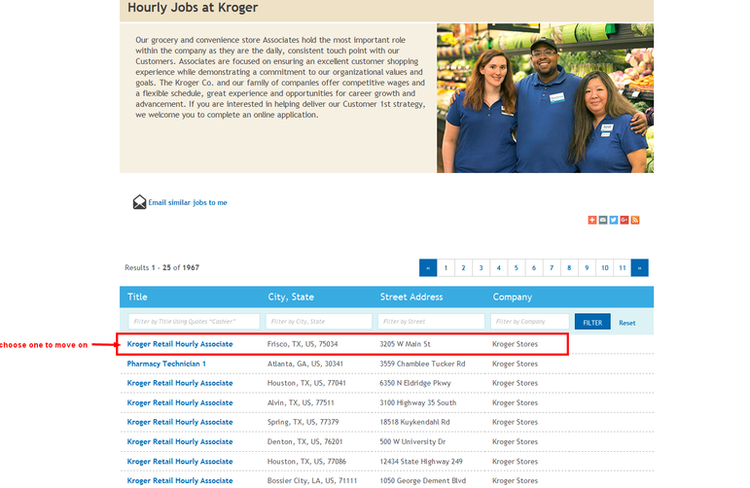 Click jobs.kroger.com to apply for Kroger jobs online. CLARA CHAMBERS 2018-01-01 17:52:02 Rated 5.0 I AM WANTING A DIFFERENT CHANGE IN LIVE. I FEEL THAT THIS A GOOD POSITION. I AM WILLING TO RUN A REGISTER. TO BE ABLE TO CHAT WITH THE CUSTOMERS. A REAL PLACE TO TALK ABLE THE LORD. WHO IS ALL OF OUR GUIDES.